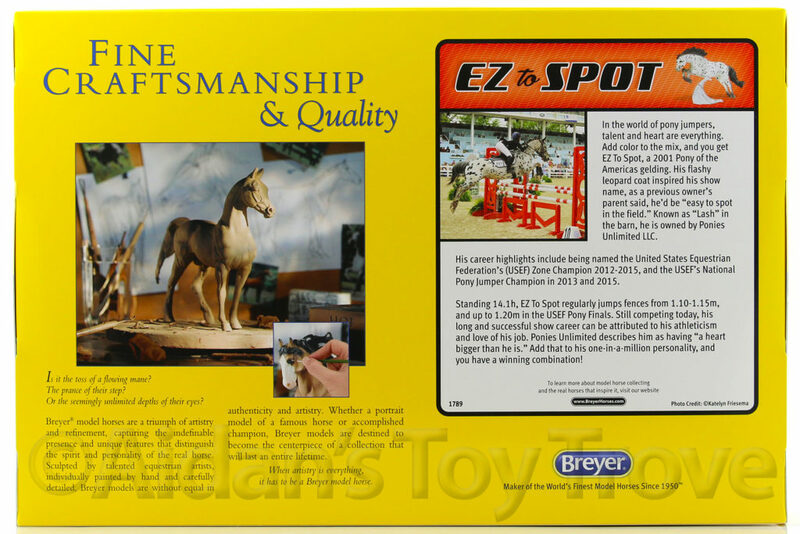 For Sale is a Traditional Scale New In Box (NIB) Breyer EZ to Spot 1789. This Pony Jumper is a Pony of the Americas. 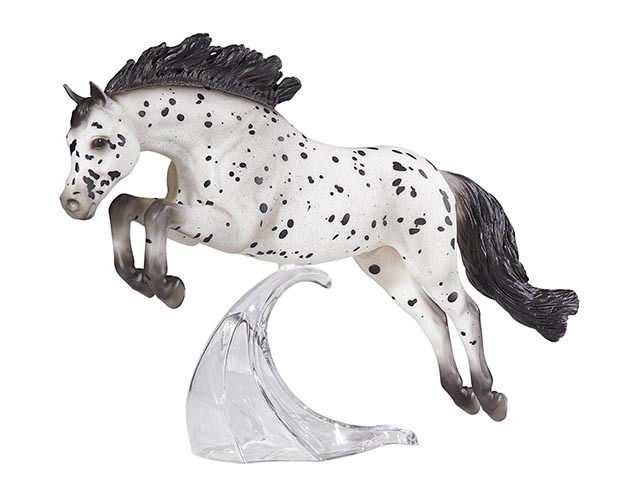 Breyer EZ to Spot 1789 is a Pony of the Americas and was made on the Newsworthy mold. He’s a cool looking Black Leopard Appaloosa. Here’s what Breyer has a to say about him. 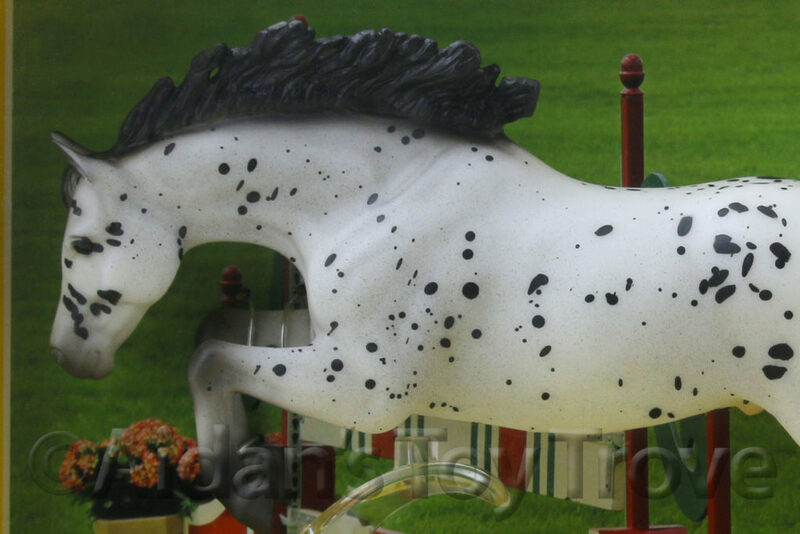 EZ To Spot is a Pony of the Americas. Standing only 14.1 h, he regularly jumps fences from 1.10-1.15m, and up to 1.20m in the United States Equestrian Federation’s (USEF) Pony Finals. His flashy leopard coat inspired his show name because he’d be “easy to spot in the field.” His career highlights include being named the USEF Zone Champion 2012-2015, and the USEF’s National Pony Jumper Champion in 2013 and 2015. EZ to Spot is still sealed and tied in the original box. The box may have normal wear. I noted no flaws on the horse. He may have typical factory flaws. I cannot guarantee the condition of the boxed side. Please note that I have multiples of this model. You may not receive the exact horse pictured. 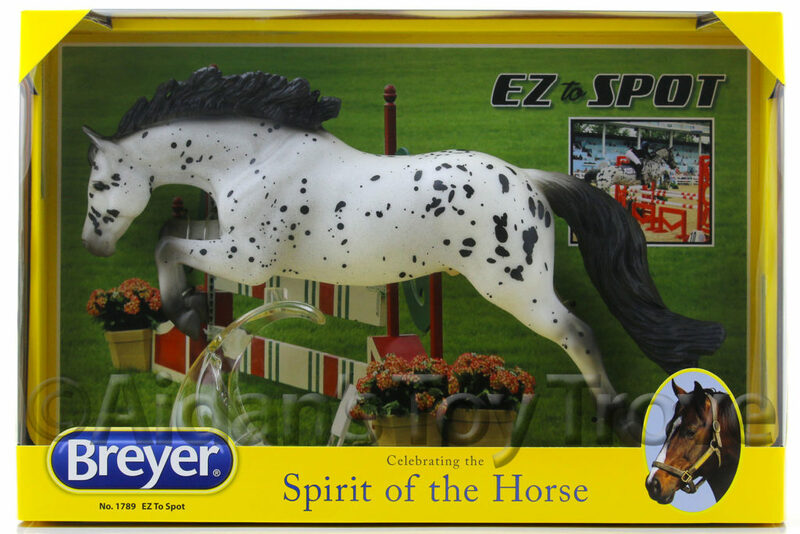 You will receive a brand new in box Breyer EZ to Spot 1789.